DUBAI - The Dubai Economic Department said yesterday that it issued 2,046 new licenses in various economic activities during January, a 20% increase over January 2018, noting that commercial licenses accounted for 64.5% of the total new licenses issued. The Dubai Economic Department reported yesterday that it issued 2,046 new licenses in various economic activities during January, a 20% increase compared to January 2018, noting that the commercial licenses accounted for 64.5% of the total new licenses issued. Total transactions amounted to more than 25.1 thousand transactions in January 2019, a growth of 6.6% compared to the same month last year, pointing out that Indians, Pakistanis and Egyptians were among the most important nationalities invested in January. A total of 25,115 transactions were recorded in January, a 6.6% increase compared to the same period last year, while a total of 2,046 new licenses were issued. Various economic activities increased by 20% compared to January 2018. The new licenses issued in January 2019 were distributed as follows: Commercial licenses with 64.5% of the total licenses, followed by professional licenses with 33.7%, tourism licenses 1.2% and industrial licenses 0.6%. The figures from the Business Plan, Dubai's digital information platform, confirm the continued development of Dubai's economy towards excellence and the position of the emirate as a center of money and business in the region and the world. The figures showed that the renewal transactions accounted for about 12,190 transactions in January, an increase of 8.9% compared to the number of transactions in January 2018, where 5263 transactions were automatically renewed by text messages, while the process of booking 3320 transactions With an increase of 8.1%, while the number of initial approvals reached 2459 with an increase of 17.8%. The number of commercial permits reached 1341 permits, while the number of instant licenses issued in one step without a location for the first year and an exemption from the establishment contract for the same period reached 163 licenses. As for the distribution of new licenses in January 2019 according to the main regions of Dubai, statistics revealed that the largest share was Deira region with a total of 1,039 licenses, then Bur Dubai with a total of 1004 licenses, followed by Hatta with three new commercial licenses. The distribution of new licenses for the top 10 sub-regions, which accounted for 54.3% of all regions, was as follows: Burj Khalifa 11.2%, Port Said 9.1%, Fahidi 6.9%, Khabisi 6.3%, Al Marher 4.3%, Garhoud 4.2% First Commercial 3.5%, Naif 3.2%, Rakat Al Bateen 3.2%, and Al Barsha the first 2.4%. Followed by real estate, leasing and business services (25.6%), construction and construction (16%), community and personal services (9.8%), hotels (4.4%), transport Storage and communications 3.6%, followed by manufacturing 2.4%, financial intermediaries 1.8%, then health and labor 0.8%, education 0.8%, agriculture 0.6%. The outsourcing centers in different regions in Dubai completed 18,258 transactions, or 72.7% of the total transactions during January 2019. According to the Dubai Economic Report, the top five nationalities invested in January 2019 were India, which ranked first, followed by Pakistan in second place, followed by Egypt in third place, while Bangladesh ranked fourth and China fifth. 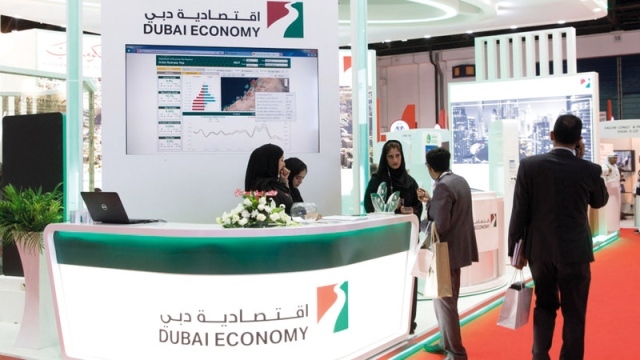 Dubai Economic Zone (DEWA) said it seeks to highlight the economic climate of Dubai, reflecting the economic activity of the emirate, the most important indicators of monthly business entry and the level of recovery in the issuance of new licenses. The Dubai Business Plan provides an effective visualization of each category of licenses and business trends on a monthly basis. The Business Movement report includes extensive data that mirror Dubai's business realities, accurate data on the number of new licenses, distribution to sectors and other important data.